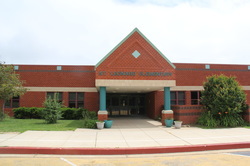 Located in St. Leonard, MD, St. Leonard Elementary School (SLES) is a Green School dedicated to providing a green-learning environment to each of its 524 students. Built in 1996, SLES is located within a few miles of the Chesapeake Bay with woods surrounding much of the school. 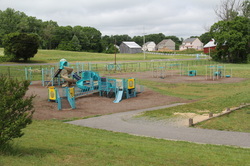 Our beautiful playground area includes a large open area for games at recess. Leo the Lion is our mascot and his name means Learning Equals Opportunity. At SLES, we believe that learning to live green provides opportunities for a healthier planet and healthier life. 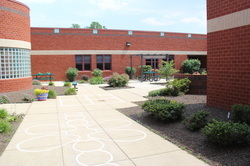 SLES first became certified as a Maryland Green School in 2009. Our Green School re-certification application reflects the constant way we all can continue to find new ways to incorporate green-living into our world. The curriculum of each grade level at SLES includes environmental education and the staff has received training to implement the lessons. Student participation is a key factor in the green activities at SLES. Glue stick and marker recycling, energy monitors and maintaining a bluebird trail are just a few activities students drive. 1. F.A.S.T. Clothing and Household Goods Drive - Many hours were volunteered by students and members of the F.A.S.T. in 2016 during the clothing and goods drive. A total of 4,706 lbs. of goods were collected and delivered for reusing or recycling. ​2. Glue Stick and Marker Recycling - Each classroom at SLES has a bucket for the collection of empty glue sticks and markers. A Green Team student collects and sorts the waste. A F.A.S.T. member takes them to the landfill for hard plastic recycling. For the 2016-17 school year, over 30 lbs. of waste has been saved as of January 2017. 3. Environmental Art - Walk down the halls of SLES on any given day and you are sure to see several examples of the environment reflected in art. Throughout this website you will see photos of art created from items like paper towel rolls, old magazines and even re-purposed sheet music. Much of the art created by students reminds us of the beauty found on our Earth. You will see images of fish, birds, butterflies, trees and cats to name a few. 4. Courtyard Refurbishing - This Spring 2016 partnership with Kelly McConkey Landscaping made the courtyard at SLES an inviting outdoor educational and leisure space. 5. 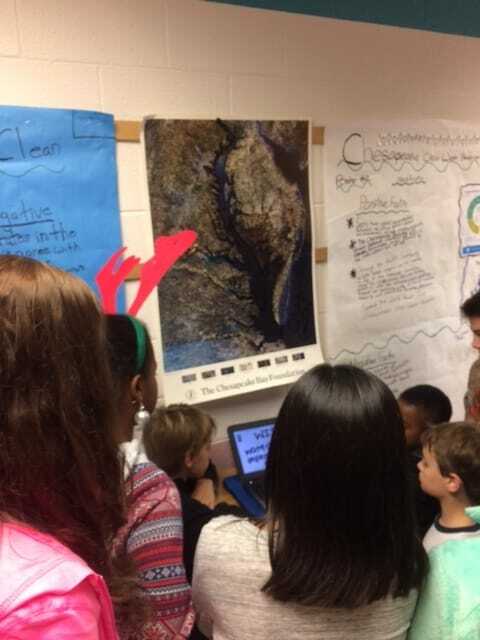 CHESPAX Environmental Education - Integrated into the curriculum of all grade levels at SLES, the CHESPAX program brings hands-on environmental education programs to every SLES student each year.